Hang on! Last month, we helped over 2,500 users to get their credit card online. Here are the most popular ones, check them out or click continue to see the card you have chose. Over 750 Cards Signed Up! Over 470 Cards Signed Up! Over 230 Cards Signed Up! Apply credit card for free! Get up to 8% cashback everyday on your petrol and groceries spending! Enjoy 1 for 1 movie ticket every Friday at GSC or TGV. Need more? Get 1 for 1 drinks every Monday to Friday at The Coffee Bean and Tea Leaf. Earn up to 10% cashback on dining, groceries, petrol and GRAB rides!!! Enjoy up to 3% unlimited cashback on all retail spending without any restriction! Enjoy 2-in-1 card that gives you privilege of a Gold Credit Card AND a BonusLink Card. With this card, you earn up to 5% cashback on all retail transactions at selected merchants, and get exclusive dining privileges at over 1,000 outlets! Earn up to 10% cashback on retail spending from 3 out of 12 categories which you can choose from, and can switch between these categories as you like! Enjoy exclusive privileges when travelling while earning Timeless Bonus Points that do not expire to claim your free flights! Up to 15% cashback monthly for petrol, auto bill payments and online purchases. Earn MAS Enrich Miles when you spend on any retail transactions, and also enjoy a 6 month period of 0% interest on overseas transactions! Enjoy 9% p.a low interest rate on your credit card for the first 12 months while continue to enjoy this low rate for prompt payment. Enjoy 2x Timeless Bonus Points for every RM1 spent on retail transactions. Gain up to 5x Timeless Bonus Points for retail spend and convert them for free flights, lifestyle merchandises and shopping vouchers! Get up to 5% cashback on all your retail transactions at selected merchants, and you are also given exclusive dining privileges at over 1,000 merchants nationwide! Earn up to 5% cashback monthly on all retail spending, and get exclusive dining deals at more than 1,000 outlets nationwide! Earn up to 5x Reward Points when you pay any of your bills on MYEG! And you will also get to enjoy a 0% interest Installment Payment Plan at all participating merchants! Receive unlimited 1.2% cashback on overseas spending & unlimited 0.5% on local spending. Not enough? Get up to RM1,000,000 insurance coverage! Earn up to 2x BSN Reward Points from all your retail spending, on top of Travel Accident Insurance coverage of up to RM1,000,000! Earn up to 10% cashback on grocery transactions at selected merchants, and get one complimentary access at True Fitness too! Earn up to 10% cashback on retail fashion transactions at selected merchants, and get a complimentary access to True Fitness! Be rewarded with cashback of up to 10% on grocery transactions at selected merchants, and earn a complimentary access at True Fitness too! When you spend at any major supermarkets and department stores, receive 5X Rewards points when you shop for everyday purchases, or when you travel - all year round! Earn 1% cashback on all your overseas retail spending, and also get Travel Accident insurance coverage of up to RM1,700,000! Earn up to 10x Reward Points from all overseas hotel, dining, and shopping spending! Earn 5 AmBonus Points for every RM1 spent overseas! Also, enjoy exclusive travel, golf, and dining privileges. For every RM1 spent overseas, you earn 5 AmBonus Points! And also enjoy exclusive travel, golf, and dining privileges too! Earn up to 3x Reward Points from all your retail spending, and get exclusive travel, gold, and spa privileges and discounts too! Enjoy up to 5% cashback on your petrol spending, and the Easy Payment Plan gives you 24 months 0% interest for your road tax payment! 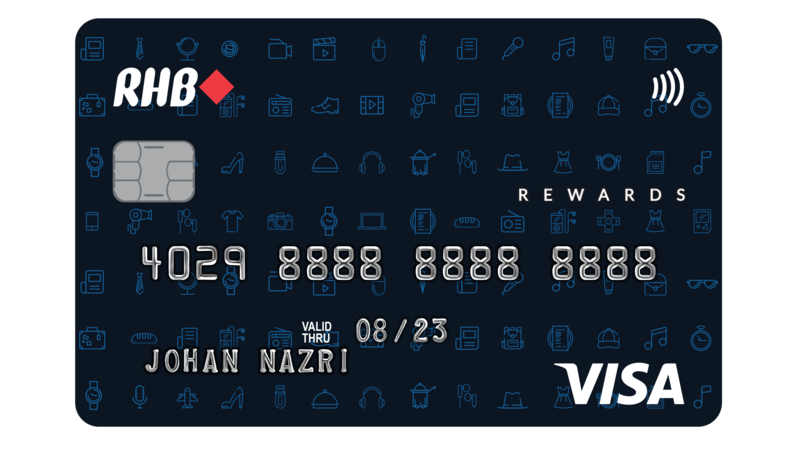 Every ringgit spent with the card will earn you VIP Points, on top of getting 0.9% cashback for your spending! Enjoy 2x Timeless Bonus Points on overseas retail and domestic utility spending. Convert the points into air miles and get your free flight! Get complimentary Plaza Premium Lounge access, on top of 2x Bonus Points rewarded from all overseas retail spending! Earn BSN Happy Reward points of up to 2x with all retail spending, on top of Travel Accident insurance coverage of up to RM300,000! Every month you will receive up to 2% cashback from all your retail spending, and this card comes with a business-size credit limit of up to RM300,000! Earn up to 6% cashback on retail spending at The Store and Pacific, and gain access to shopping and travel privileges too! Get access to the priority lane and get discounts on food and beverages, on top of a 10% discount on normal tickets at GSC! Receive exclusive offers at AEON stores nationwide when you use the AEON Gold Visa/MasterCard, and also enjoy premium benefits which will be yours with this card! Enjoy amazing deals and discounts from AEON stores all cross Malaysia, giving you more value for your money, and also earn reward points for every ringgit you spend! Get up to 6% cashback on retail spending at The Store and Pacific, and 0.5% rebate on dining, entertainment, and petrol! Get a 10% discount on normal tickets at GSC, on top of discounts on food and beverages, also with privileged access to the priority lane! Earn 5X Bonus points when you dine anywhere & shop overseas, complimentary Plaza Premium Lounge access, and year-long discounts at over 500 participating merchants! Great cash rebates with 10% cash back on monthly interest charged, a 5% cash rebate on online spending, and 2% cash rebate on all retail spending! Get privileges and discounts at over 6,500 shopping outlets! You get to earn up to 2x UNIRinggit Reward Points from all retail transactions, and enjoy a 0% interest Installment Payment Plan at all participating merchants! Earn up to 3% cashback on your petrol expenditure. Earn 1% cashback on all retail transactions up to RM1,000, and 0.5% cashback on any subsequent spending above RM1,000! Choose which 2 of the 9 categories of retail spending you would like to receive cashback of 10% from, and you can switch among the categories at any time too! Enjoy 0% interest on all purchases for the first 3 months, and the card is yours free-for-life and for the first 3 supplementary cards! Receive up to 2x BSN Happy Reward points with all retail spending, and get complimentary Travel Accident insurance coverage of up to RM300,000! Up to 2x BSN Reward points will be rewarded to you from all your overseas retail spending, and includes Travel Accident insurance coverage of up to RM500,000! This card rewards up to 2x BSN Reward points with all retail spending, and get covered with Travel Accident insurance of up to RM500,000! Collect up to 2x BSN Reward points from all retail spending, and get Travel Accident insurance coverage of up to RM500,000! 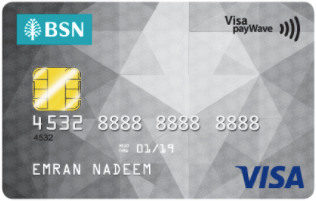 With this card you earn up to 2x BSN Reward Points with all retail spending, and Travel Accident insurance coverage of up to RM1,000,000!. Earn up to 2x BSN Happy Reward points for all overseas retail spending, with Travel Accident insurance coverage of up to RM300,000! All your overseas retail spending will be rewarded with up to 2x BSN Reward points, included with Travel Accident insurance coverage of up to RM300,000! Earn up to 2x BSN Reward points from retail spending, and receive Travel Accident insurance coverage of up to RM500,000! Earn unlimited cashback of 1.2% on all retail transactions* and also receive Personal Accident Insurance coverage of up to RM2,000,000! Earn up to 6% cashback for local spending and 2% cashback for overseas spending. Earn unlimited cashback of 1% on all online and overseas transactions, and 0.5% cashback on all local spendings too! Earn up to 5% cashback on online shopping, 1% cashback on petrol at BHPetrol stations nationwide, and up to 0.3% cashback on other retail transactions! Earn up to 1% cashback on all retail spending, and enjoy a low cash advance at an interest rate starting at 10.8% per annum! Earn Premium Points from retail spending, and receive Travel Accident Insurance with coverage of up to RM300,000! Earn up to 1% cashback on retail spending! Get bonus cashback when you spend upwards of RM38,000, on top of 1% cashback on all of your retail spending! FREE RM100,000 insurance coverage on death or total and permanent (TPD) disability for principal cardholder in the first year. Spend RM10,000 and above on total retail spending in the current year to enjoy subsequent coverage renewal in the following year. You will be rewarded for all your retail spending with Reward Points, on top of getting to enjoy a 6 or 12 month interest Easy Payment Plan at 0%! Get up to 7% petrol cashback at ALL Petronas petrol stations nationwide with statement balance RM 3000 and above, 3% below RM3000 and also receive exclusive discounts and cashback at all participating merchants! Get 5% cashback when you spend at luxury brand merchants, and also 0.9% cashback on all other retail spending! Earn up to 10x reward points for Movie, Overseas,Online, Health, Insurance, Shopping & other Retail spend ! You also won’t miss out on golf privileges at Kota Permai & Sungai Long Golf & Country Club too! Earn AmBonus Points from your retail spending, and also get complete travel insurance coverage of up to RM500,000! Get exclusive promotions and privileges at restaurants, coffee houses, cinemas and more, and this card is yours free-for-life and for the first 3 supplementary cards! Get up to 0.8% cashback on retail transactions with no maximum limit! And also receive a lifetime annual fee waiver with this card! Get free petrol credit of RM20, lifetime waiver on your cards annual fee, along with cashback of up to 0.8% with no maximum limit! 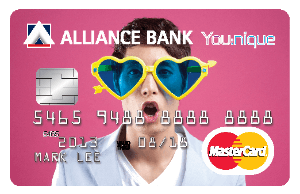 This card gives you cashback at up to 0.8% with no maximum limit! Also enjoy a waived annual fee for life! Enjoy cashback with no maximum limit at up to 0.8%, added with exclusive Touch n Go features just for you! The Affinbank Classic Card gives you cashback at up to 0.8% uncapped, also with no annual fee, ever! Earn up to 0.7% cashback monthly on all your retail spending, and you will also receive Travel Accident and Inconvenience Insurance coverage! Get more rewards points when you spend at AEON Stores during AEON Day with the AEON New AEON Gold Visa/MasterCard! Earn rewards even faster, and get many added on benefits for you to enjoy when you shop at AEON! Earn 0.6% cashback on all retail spending, and also enjoy FREE Automatic Travel Insurance with coverage of RM350,000! You can earn cashback of 1% on online transactions and overseas transactions and enjoy 0% interest Installment Payment Plan at all participating merchants! With unique benefits and personalised services, Citi Prestige is your passport to a world of unforgettable experiences. Earn cashback of up to 0.3% from retail transactions from all certified Halal merchants, and get up to RM100,000 of Takaful protection! Get cashback of up to 0.3% from retail transactions at all certified Halal merchants, RM100,000 of Takaful protection coverage, and Travel Accident insurance coverage too! Get Takaful protection with coverage of up to RM100,000, and also earn up to 0.3% cashback on retail transactions at all certified Halal merchants! Earn up to 2x Reward Points from your retail spending, and get preferential foreign exchange rates on outward remittances! Get Travel Accident Insurance with coverage of up to RM350,000, and earn up to 2x Reward Points from retail spending! Get preferential foreign exchange rates on outward remittances from American Express, on top of earning up to 2x Reward Points from retail spending! Be it daily necessities or lavish indulgences, AEON Platinum Credit Card is the perfect companion to your lifestyle. 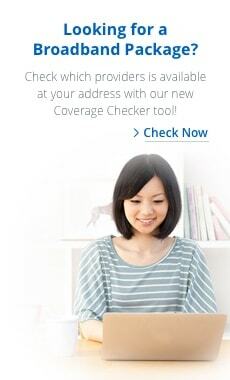 Earn 5x Reward Points from overseas spending, and get exclusive medical and travel insurance coverage too! Earn up to 3x Cosway Points from your retail spending, and redeem these points at over 850 Cosway outlets nationwide! Earn 3 AmBonus Points for every RM1 spent overseas, and also enjoy exclusive dining and travel privileges! You get to enjoy a 0% interest Installment Payment Plan at all participating merchants, on top of earning up to 5% cashback from all retail transactions you make! Enjoy earning up to 3x Cosway Points to be redeemed at over 850 Cosway outlets around Malaysia! Earn 1% cashback on groceries, shopping, dining and entertainment! Also get covered for Travel Insurance with coverage of up to RM1,000,000! Evergreen credit card with more than 1,000 dining deals nationwide. Get up to 60 days interest-free credit period for all retail transactions, and with a business-size credit limit of up to RM300,000! Get a business-size credit limit on your card of up to RM300,000, and also with Travel Accident Insurance and travel Inconvenience Coverage protection! It is a payment card issued by a financial entity (i.e. 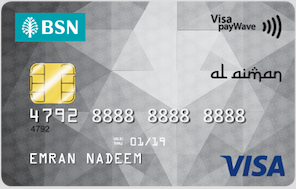 the card issuer), which allows a card holder to purchase goods and services on credit. How Does the Credit Cards Works in Malaysia? Credit cards in Malaysia work similarly to personal loans. When you make a payment using one, you are essentially “borrowing” money from the card issuer. By the end of each month, you are expected to repay the amount you’ve “borrowed”. Failure to do so would see you being charged an interest on your unpaid amount. In Malaysia, you can hold any number of cards from a maximum of two (2) card issuers if you are a qualified cardholder with an annual income of RM36,000 or less. There are no limitations on the number of cards and card issuers if your annual income is above RM36,000. Do take note that a service tax of RM50 is imposed per principle card per year, while a service tax of RM25 is imposed per supplementary card per year. 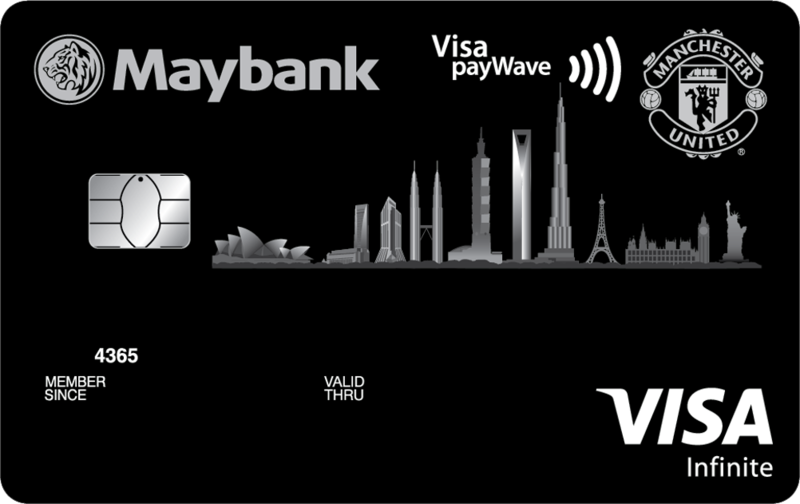 What Are the Different Credit Cards Categories In Malaysia? • Rewards credit cards: These cards give you reward points for purchases made using your credit card. Reward points are redeemable for gifts, vouchers and other goodies as indicated in the issuer’s reward catalogue. • Cash back credit cards: These cards gives you back a percentage of the amount spent, which is paid back to the credit card holder. Each credit card provides different locations, from where you can receive cashback on your spending`s. • Low interest: These cards offer lower interest rates compared to conventional cards. 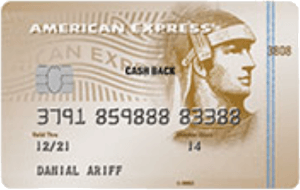 • Travel credit cards: These cards give you mile points for selected purchases. Mile points are redeemable for travel-related privileges, such as air tickets and seats upgrades with participating airlines. • Petrol credit cards: These cards offer petrol-related benefits, such as cash rebates or extra reward points on fuel and spending at petrol kiosks. • Dining credit cards: Ordering such type of a credit card, allows you to enjoy exclusive discounts and promotions from various restaurants, each time you`re dining outside. • Shopping credit cards: If you like shopping, ordering such type of a credit card can rewards you with exclusive offers and various discounts from popular shopping outlets. • Premium: Premium cards offer promotions and privileges that focus on higher-end products and services, such as golfing, fine-dining and exclusive clubs. 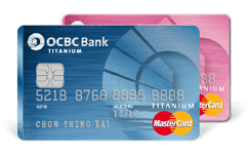 You will find that the comparison page lets you compare cards and help you find the best one for you by showcasing promotions, best cards in Malaysia, and zero annual fee cards. You can even perform an application online in the same seating! Card issuers adopt a tiered system when it comes to the interest rates. Generally, you will be charged a higher interest rate should you display a history of inconsistent repayments, and a lower interest rate should you display a history of prompt repayments. In Malaysia, interest rates commonly come in a range of 13.5 – 17.5% p.a. Some card issuers may also have higher or lower interest rates depending on their operating policies. In Malaysia, card holders are generally required to make a minimum payment of 5% of the bill (or a minimum of RM50) on a stipulated due date every month. Failure to do so may result in a penalty that is equivalent to 1% of the unpaid amount on your bills (or a minimum of RM10). In Malaysia, card holders with income of RM36,000 or less in a year is restricted to a maximum credit limit of twice of his or her monthly income. For example: if your monthly income is RM2,000, your credit limit would be a maximum of 2 × RM2,000 = RM4,000. Credit limits for those earning above RM36,000 are determined by the card issuers. A copy of your MyKad (both sides), latest three-month payslips + latest three-month bank statements OR latest three-month EPF statements. A copy of your MyKad (both sides) and latest Borang B/BE with LHDN acknowledgement. You can get up to 10% cashback when you spend with AEON. With a single receipt spend of at least RM100 in WATAMI restaurants, you will get to enjoy up to 10% cash rebate. AEON Balance Transfer Program comes with a maximum of 6 months, interest rate of 0% per annum, minimum transfer amount of RM1,000 and one-time upfront fee of 0%. You can get up to 0.8% cashback on petrol when you spend by using cards from AFFINBANK. Depending on the card, you can also get a RM20 petrol credit. AFFINBANK Balance Transfer Program has a maximum tenure of 2 years, interest rate of 0% per annum for all different Program tenures, RM1,000 as the minimum transfer amount (RM5,000 if you are getting 6-month tenure) and a minimum of 0% for the one-time upfront fee (9% if you are getting 24-year tenure). 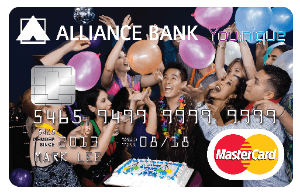 You can enjoy up to 3% cashback on your retail spending when you use Alliance Bank cards. Some of them will allow you to get cashback and air miles from your retail spending. Alliance Bank Balance Transfer Program comes with a maximum of 24 months, interest rate of 6% per annum, minimum transfer amount of RM1,000 and one-time upfront fee of 0%. You can get up to 5x points on your retail spending when you spend by using cards by AmBank. You also get to enjoy the latest travel, golf and dining promotions and privileges with some of the cards. AmBank Balance Transfer Program has a maximum tenure of 2 years but comes with an annual interest rate of 8.99% (4.99% if you are getting 6-month tenure), minimum transfer of RM5,000 for its 2-year tenure (RM1,000 for other tenures) and no one-time upfront fee. Earn up to 2x points on your retail spending with BSN cards. BSN Balance Transfer Program offers up to 5 different tenures: 3 months, 6 months, 9 months, 1 year, 2 years and 3 years. With interest rate per annum of 3.6% to 4.5%, it has a minimum transfer amount of RM500 (for 3-month tenure) and one-time upfront fee of 0%. Bank Islam offer a convenient way to proceed with payment for your purchases from Halal merchants. With Bank Islam, you can get up to 0.3% cashback on all retail transactions from Halal merchants. Bank Islam Balance Transfer Program comes with a tenure of 1 year and interest rate of 6% per annum, besides minimum transfer amount of RM500 and no one-time upfront fee. CIMB has a variety of cards that give you rewards and benefits on different expenses such as petrol, dining and shopping rebates. You can get as high as 5% on your online spending. CIMB Balance Transfer Program has a maximum tenure of 2 years, maximum interest rate of 12% per annum (for 2-year tenure) and minimum RM1,000 transfer amount, apart from a 0% one-time upfront fee. 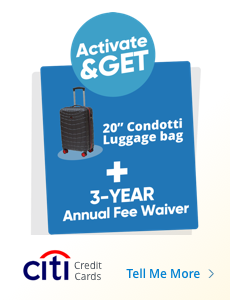 Citibank have great deals for a wide variety of spending in the market. You can get up to 20,000 free points and 5x reward points from your shopping. With Citibank Balance Transfer Program, you can get up to 3 years with an interest rate of 9.90% per year. 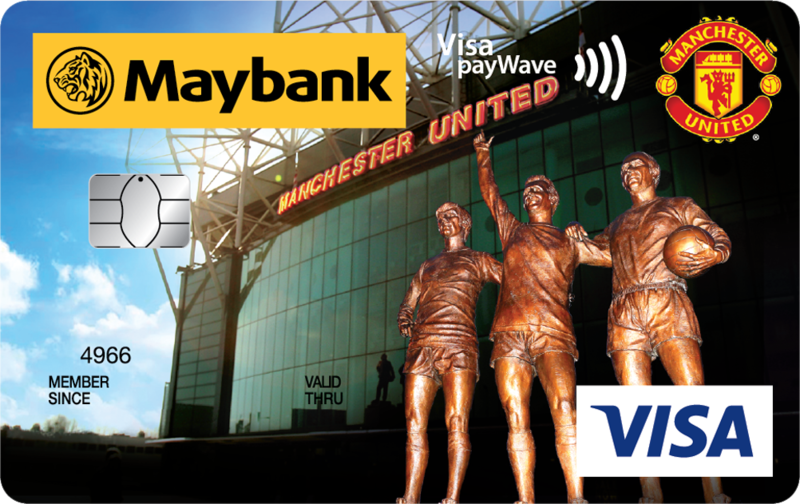 It has a minimum transfer amount of RM1,000 and 0% one-time upfront fee. HSBC have some of the best cashback promotions to offer, and a great reward points from retail spending. You can get up to 8x reward points from your retail spending. HSBC Balance Transfer Program has a maximum period of 1 year, interest rate per annum of 6.99%, minimum transfer amount of RM1,000 and no one-time upfront fee. HSBC Amanah gives up to 1% cashback on overseas retail spending and cardholders are entitled to Smart Privileges and more discounts. For local spending, you can get up to 8% cashback on weekend dining, petrol and groceries. HSBC Amanah Balance Transfer Program has a maximum period of 1 year, interest rate per year of 6.99%, minimum transfer amount of RM1,000 and 0% one-time upfront fee. 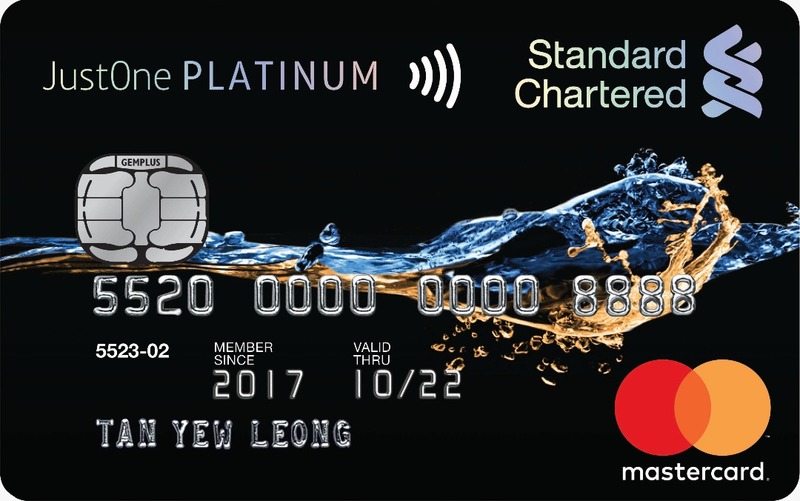 Hong Leong has some of the best cards for overseas spending and travel privileges. You can get up to 10% cashback on petrol, groceries and utilities. Hong Leong Balance Transfer Program has a minimum period of 6 months and maximum period of 1 year, interest rate of 6.99% per annum, minimum transfer amount of RM1,000 and no one-time upfront fee. Mach gives you the flexibility to change the rewards package according to your lifestyle. There will be 12 spending categories; some with up to 10% cashback to choose from. Mach Balance Transfer Program has a minimum tenure of 3 months and maximum tenure of 12 months, interest rate at a maximum of 9% per annum (for 9-month tenure), minimum transfer amount of RM1,000 and no one-time upfront fee. 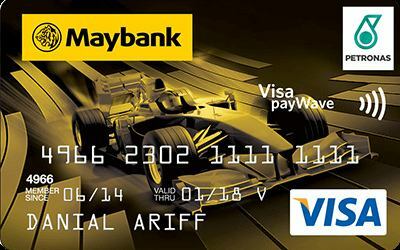 Maybank is one of the market-leading card issuer with up to 5% cashback on your weekend spending and 5x reward points on your retail spending. Maybank Balance Transfer Program of a maximum 3 years have an interest rate of 4.95% per annum (highest is 9% for 9 months), minimum transfer amount of RM1,000 (RM2,000 for 2 years and 3 years) and no one-time upfront fee (except for 12-month tenure). 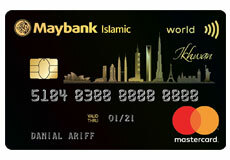 Maybank Islamic provides up to 8x points for your spending. You can also earn air miles from your spending; with up to 444.44 miles per RM1,000 spent. With Maybank Islamic Transfer Program, you get to enjoy a maximum of 3 years tenure at 4.95% with a minimum transfer amount of RM2,000 and no one-time upfront fee. 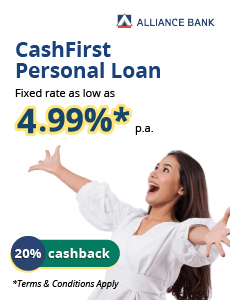 Public Bank provides cashback of up to 0.9% on your spending. You can also get reward points of up to 2x for every RM1 that you spent. You can get the card through the Public Bank Balance Transfer Program, whereby you get to enjoy a maximum of 24-month tenure for 0% per year but for a minimum transfer amount of RM3,000 and a one-time upfront fee of 5%. RHB provides you with cashback of up to 20% at cinemas, ticketing agencies, amusement parks and more. You can also get reward points of up to 5x if you make any transaction through MyEG. RHB Balance Transfer Program comes with a maximum period of 2 years, no annual interest rate during that period, a minimum transfer amount of RM1,000 and minimum one-time upfront fee of 4% (9% for 2-year tenure). Standard Chartered cards are usually focused on a very specific spending category; for instance, having the best petrol card or the best travel card in the market. 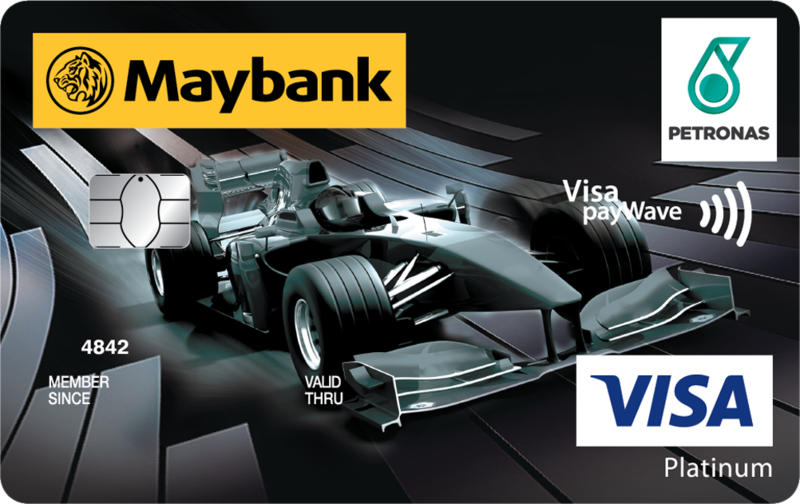 You can get up to 10% cashback on petrol spending or 333.3 miles per RM1,000 spent. Standard Chartered Balance Transfer Program has a maximum of 1 year tenure, 2.99% per annum, minimum transfer amount of RM1,000 and no one-time upfront fee. UOB cards have a lot great deals and gender specific cards such as their Lady's series card. With its card, you stand to gain up to 5% on your petrol expenditure. UOB Balance Transfer Program has a maximum tenure of 1.5 years, minimum interest rate of 7.77% per year, minimum transfer amount of RM1,000 and no one-time upfront fee. Have a question about credit card? Ask us in the comment box below.